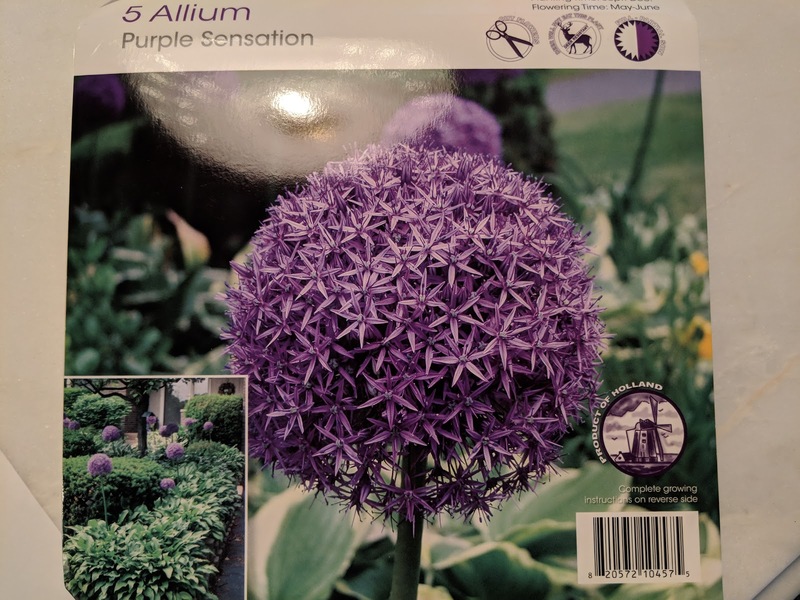 Almost one year ago - in early October of 2017 - I posted some photos of the locations of the Allium Purple Sensation bulbs that I put in the ground in the backyard. I ended up putting them around the base of a big Oak Tree about half-way back from the house. I don't think that all five of them came up and I know that we had at least one of them get dug out and taken by a critter, so I'm thinking that we likely have three left. When I came across the fall bulb section recently, I'm naturally drawn to Alliums. Since 2011, I've posted about the various Allium bulbs that I've planted, starting with a surprise gift to Natalie that first year. 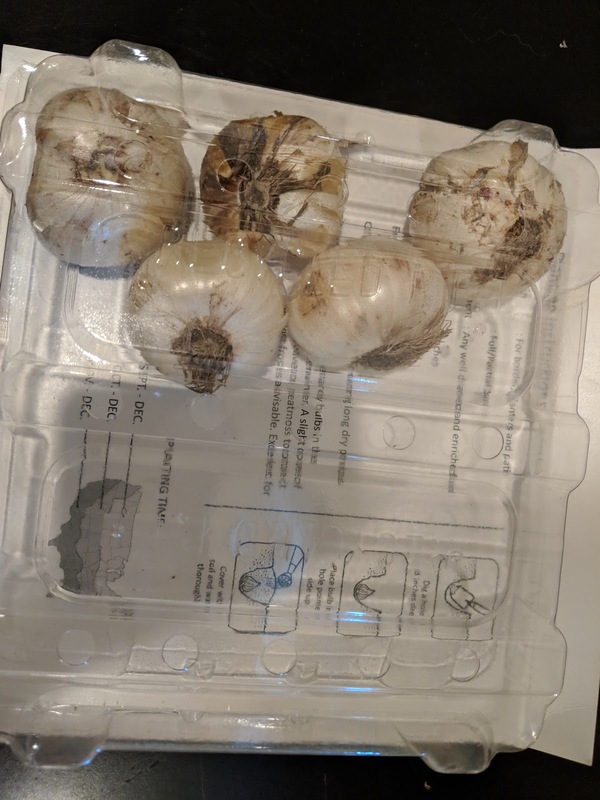 I also covered the bulbs that went into the ground in the Fall of 2017 in a post in April of this year when they emerged. This year, I have five bulbs to put down of the same variety as last year: Purple Sensation. In thinking about the 'path' concept I have in my head for the backyard, I'm wondering if I should clear out a hosta bed and plant these mixed in with some hostas on the north fenceline?